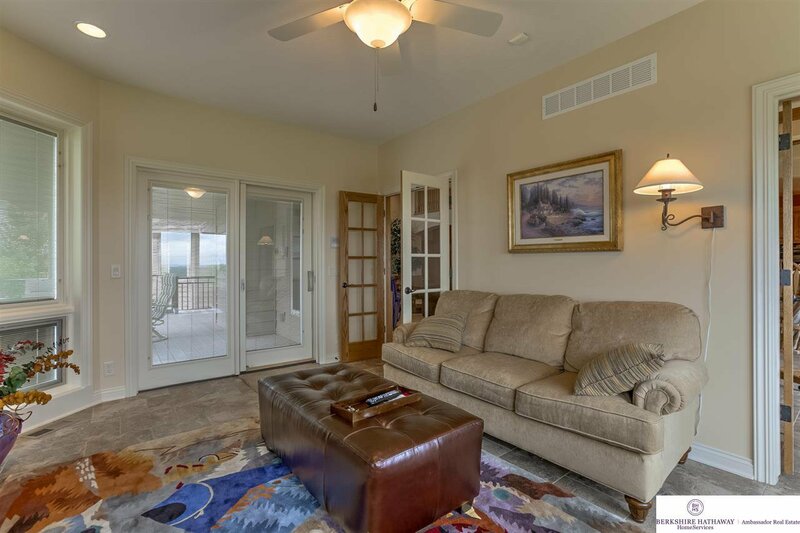 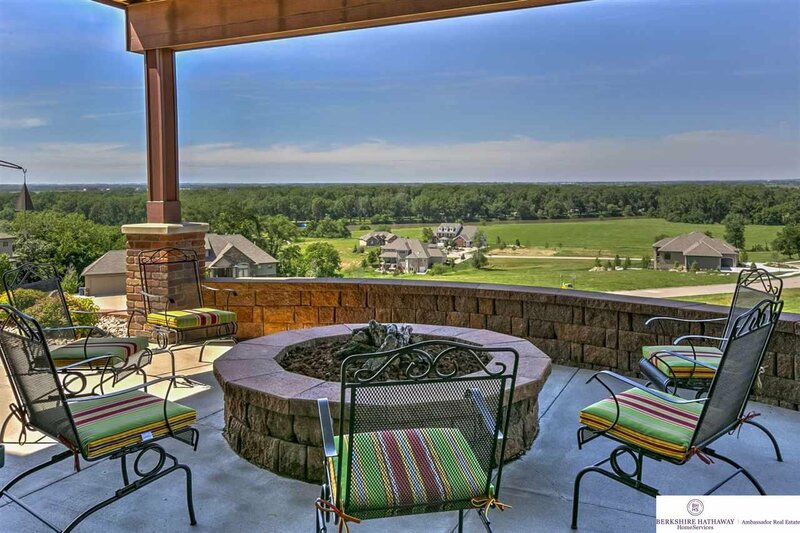 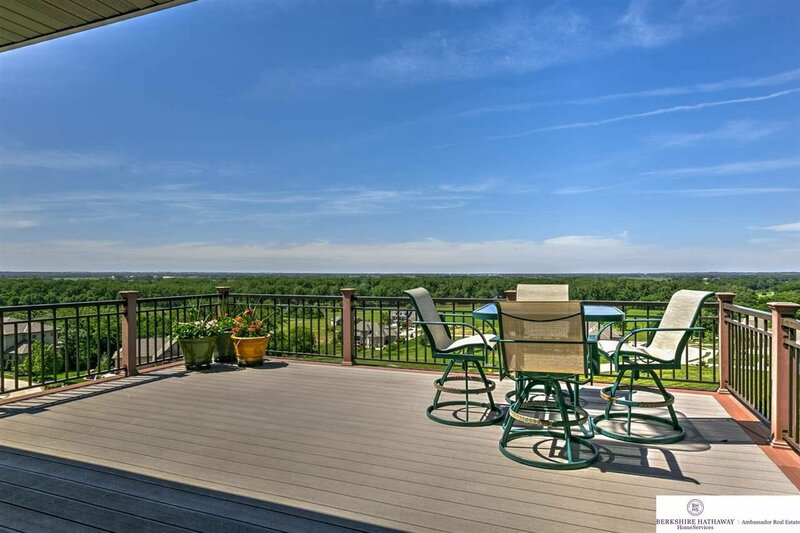 Million Dollar Views, Premium Quality 1.5 Story, and Separate 60x28 Outbuilding! 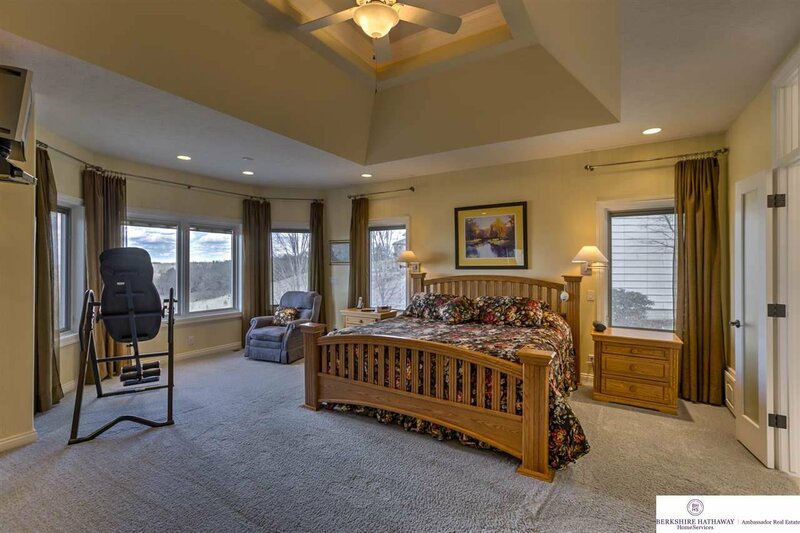 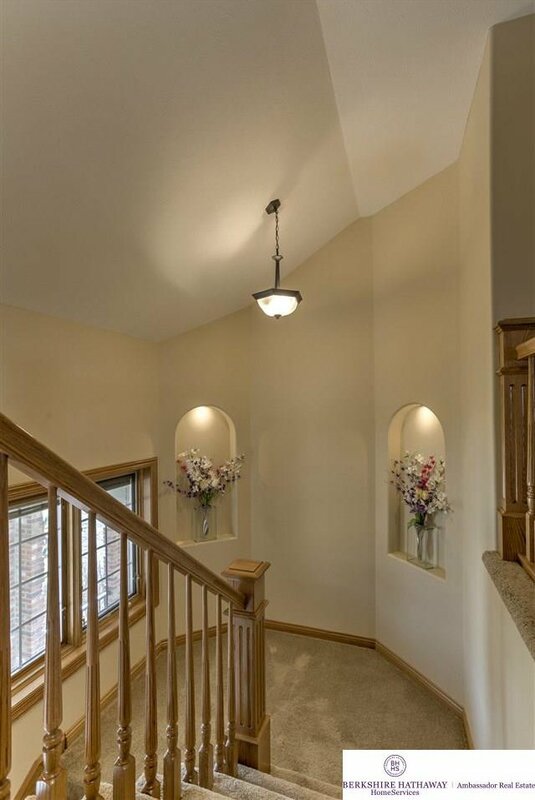 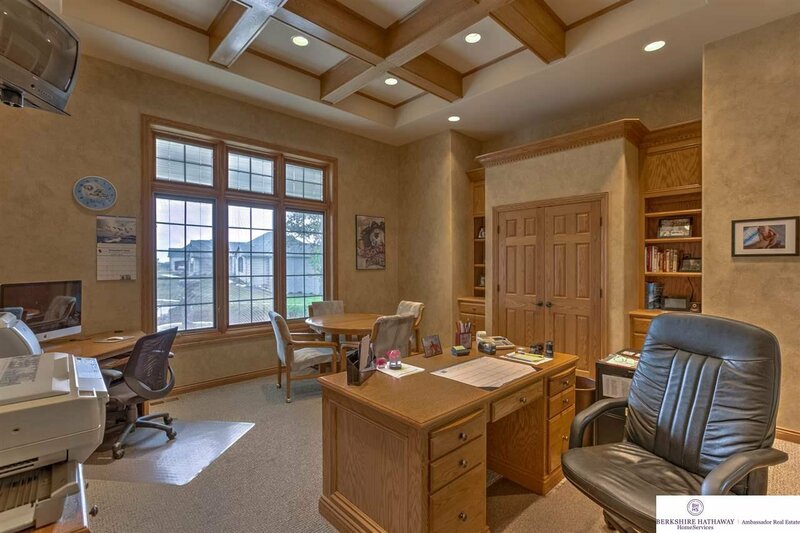 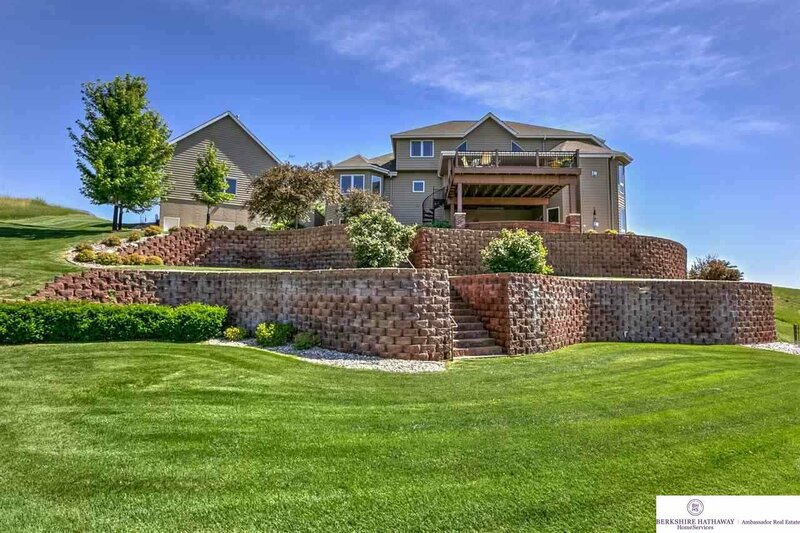 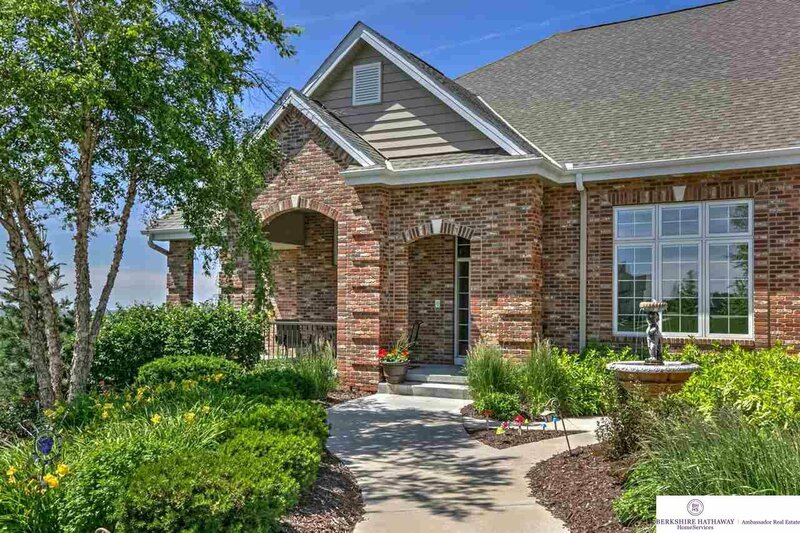 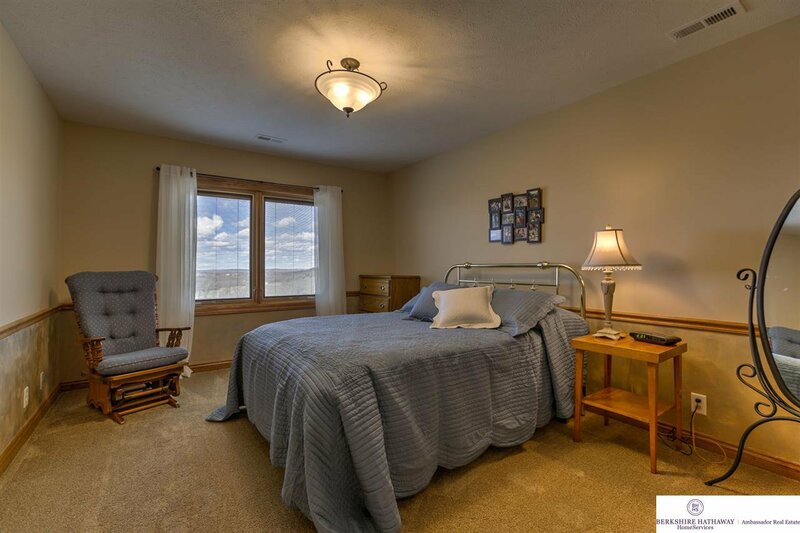 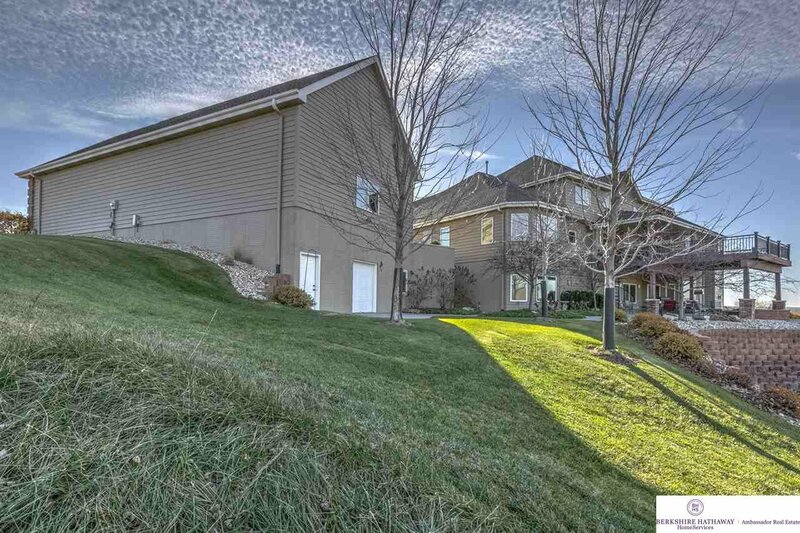 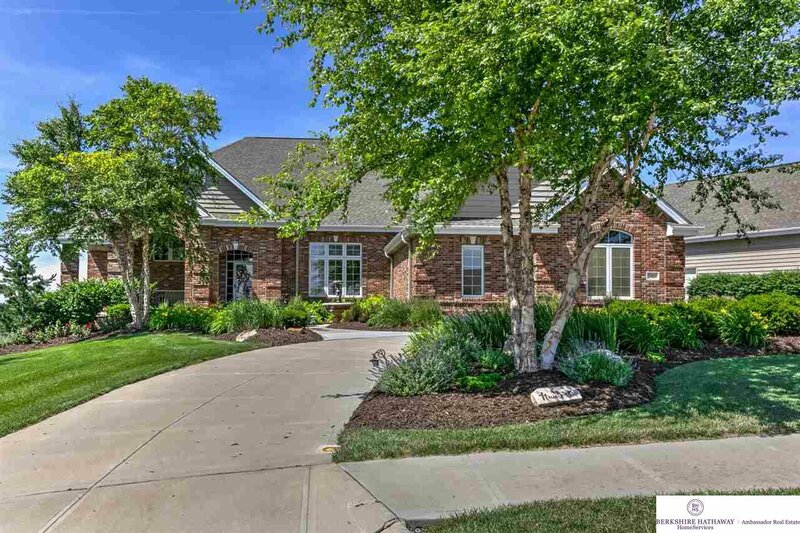 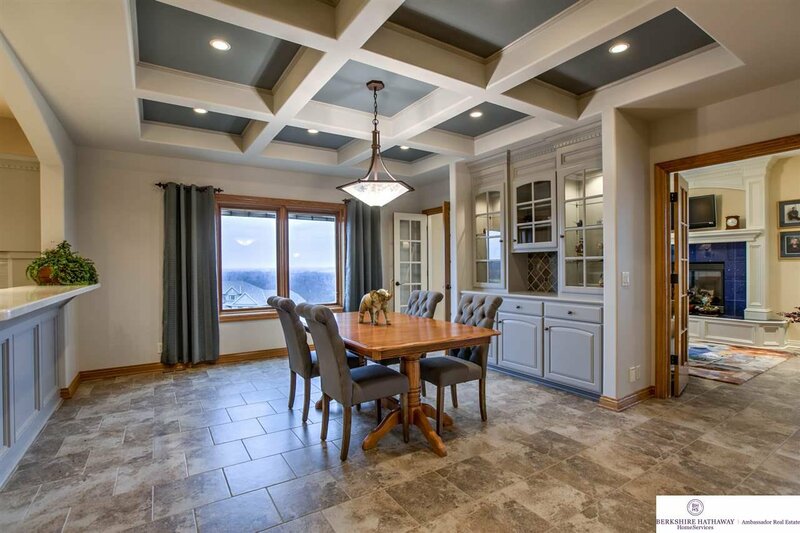 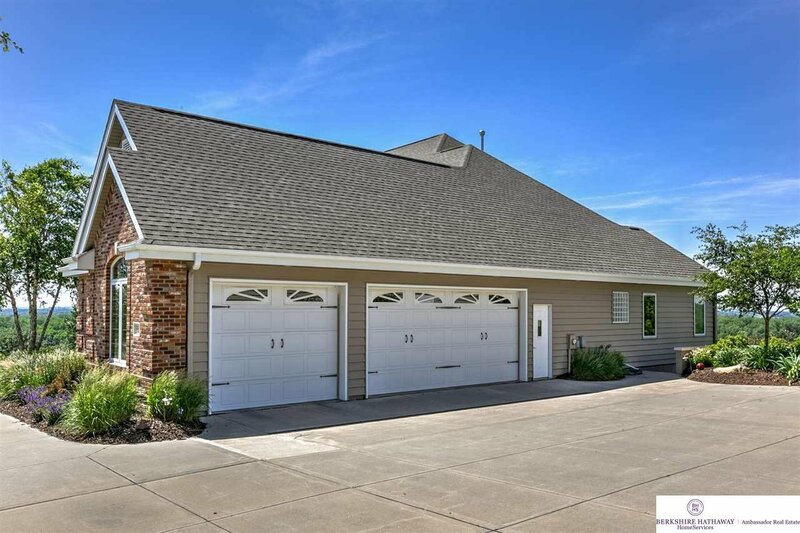 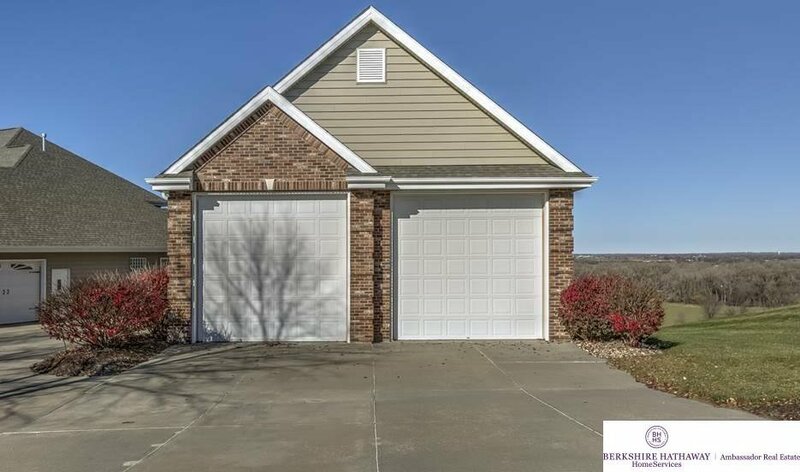 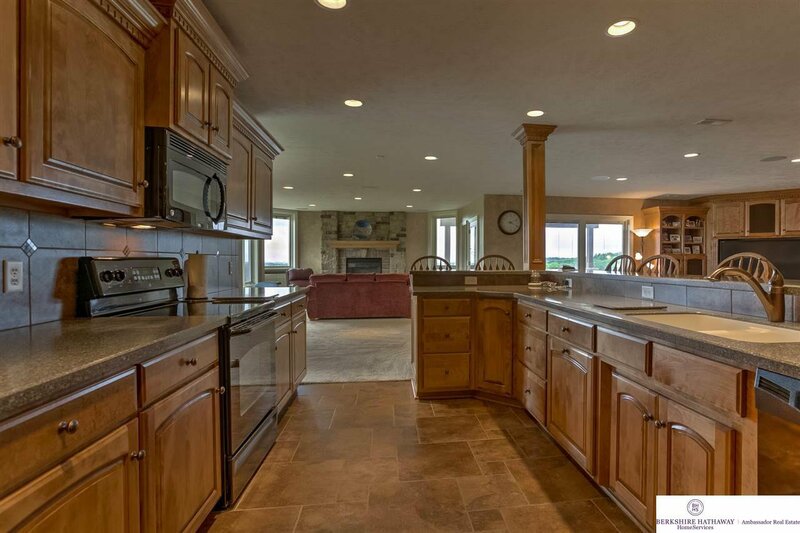 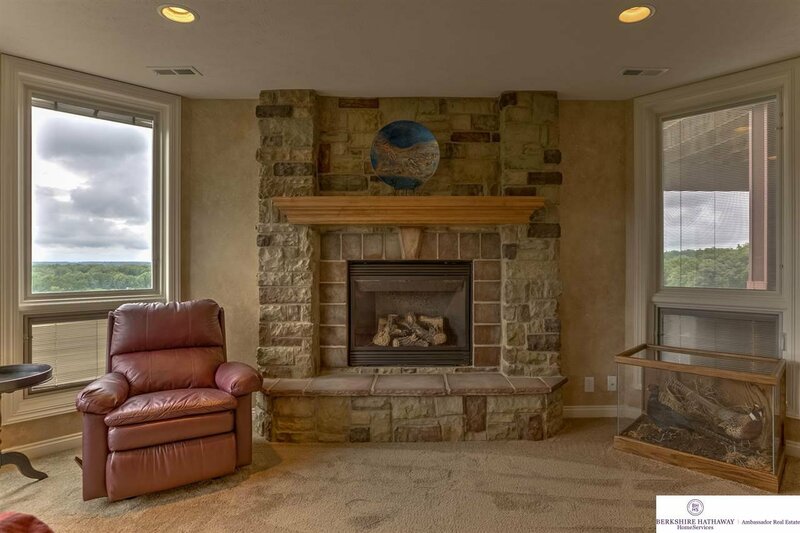 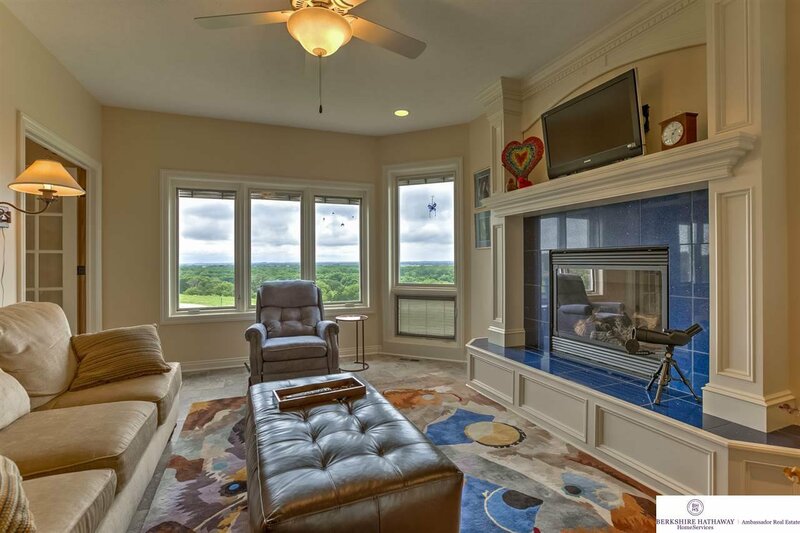 Builder’s Own Home sits on .6 acres in the Prestigious Hamptons with Views of the Elkhorn River and access to walking trails. 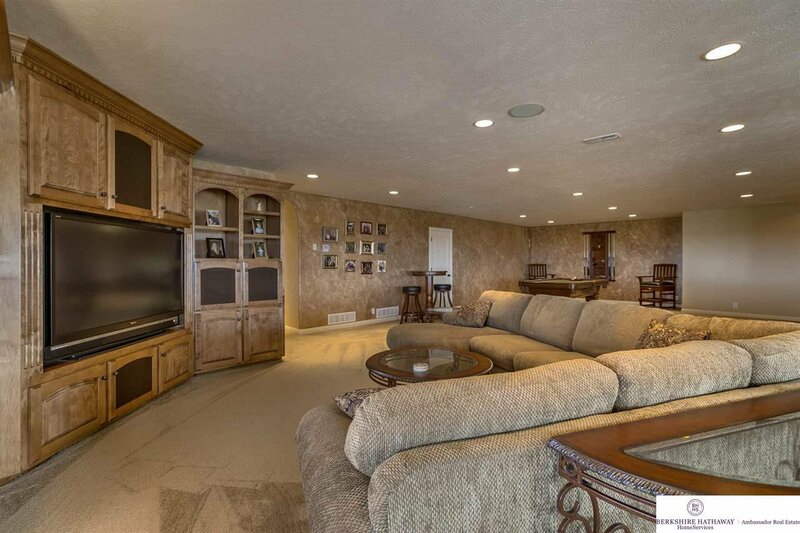 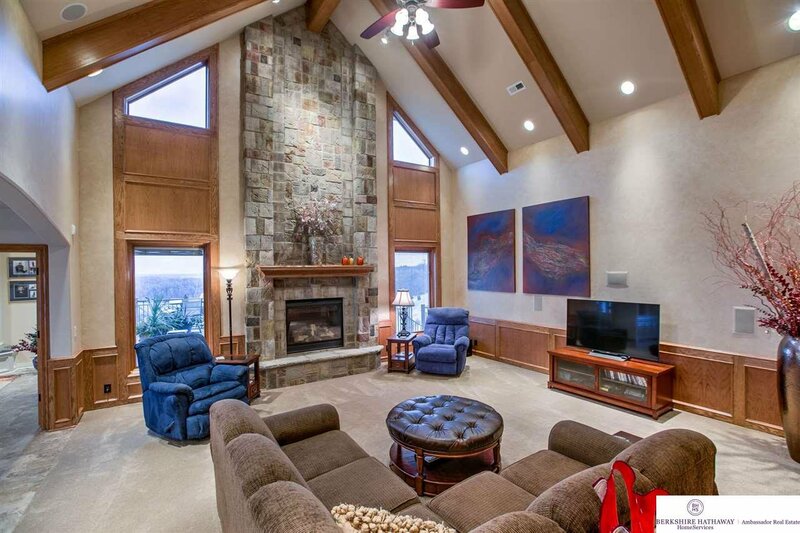 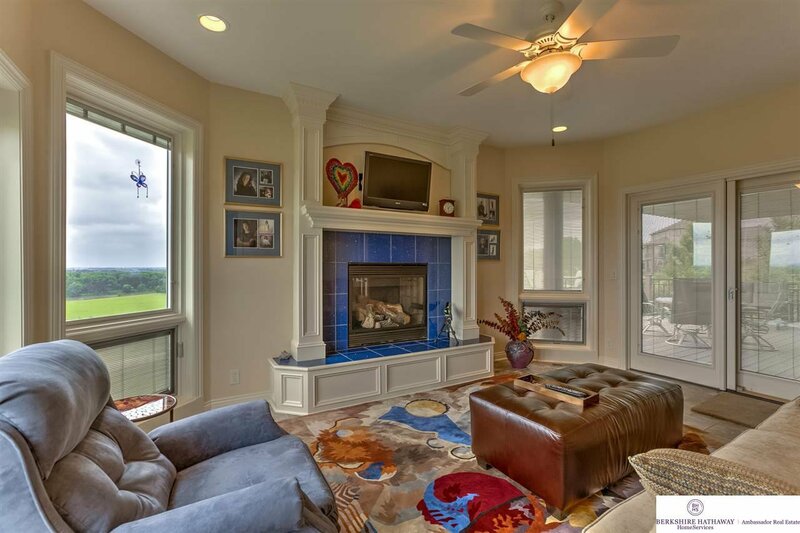 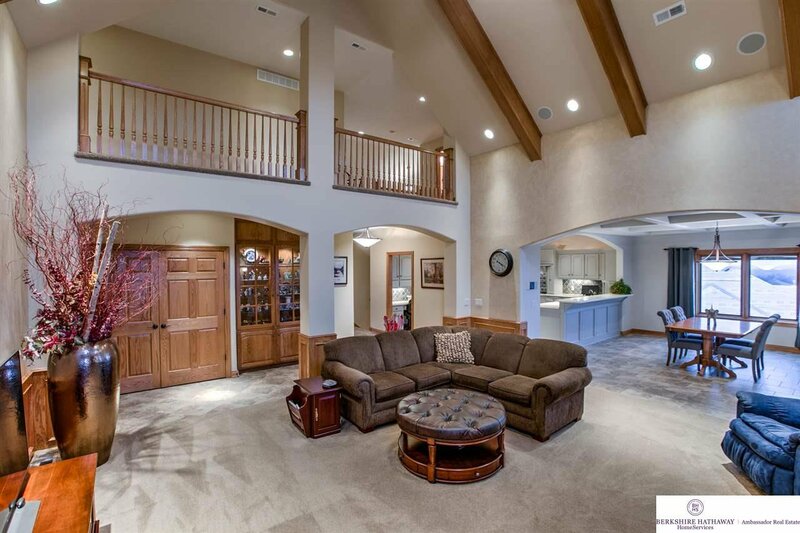 Amazing Great Room has 20ft vaulted/beamed ceiling! 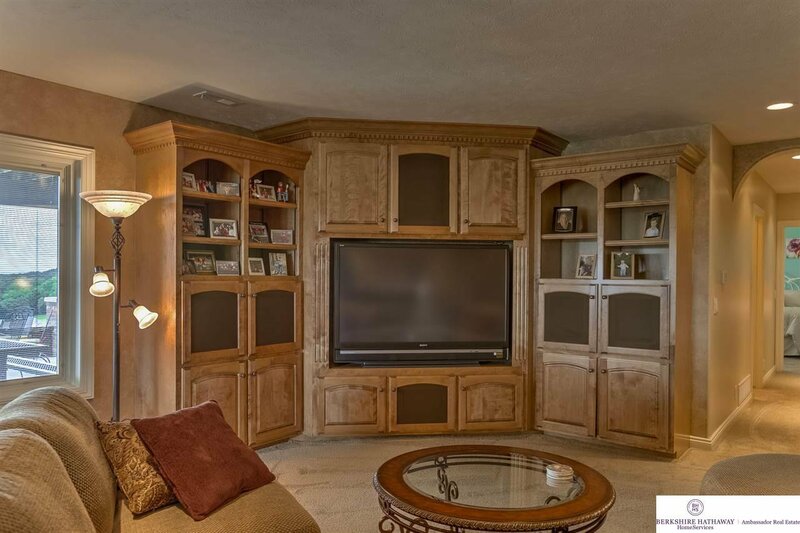 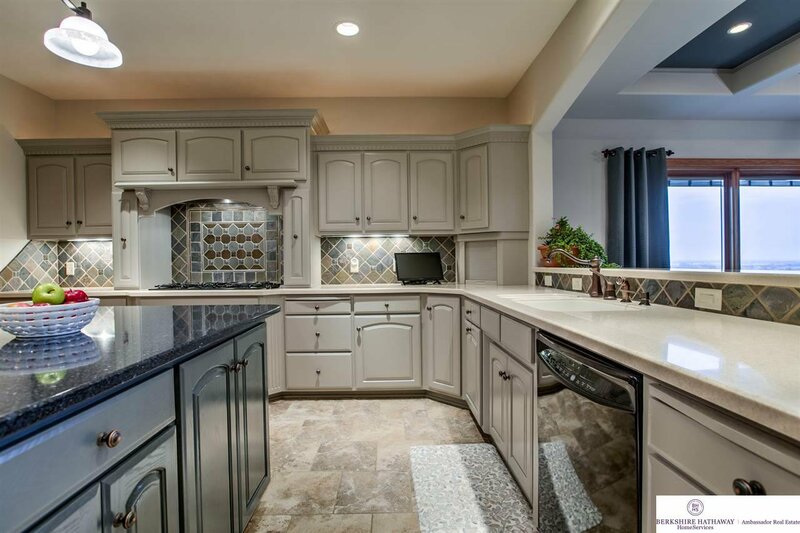 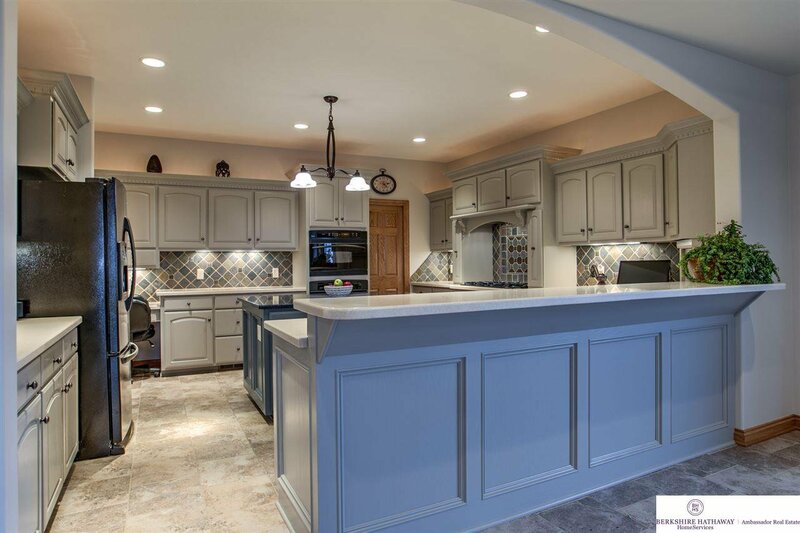 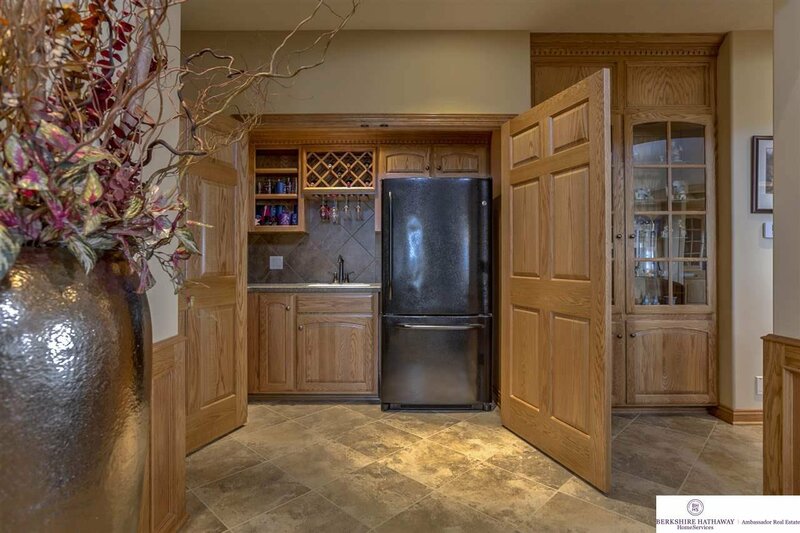 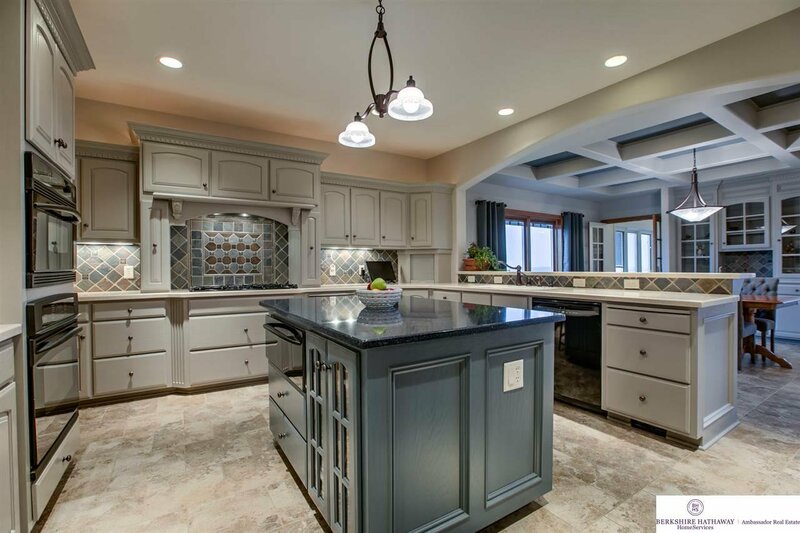 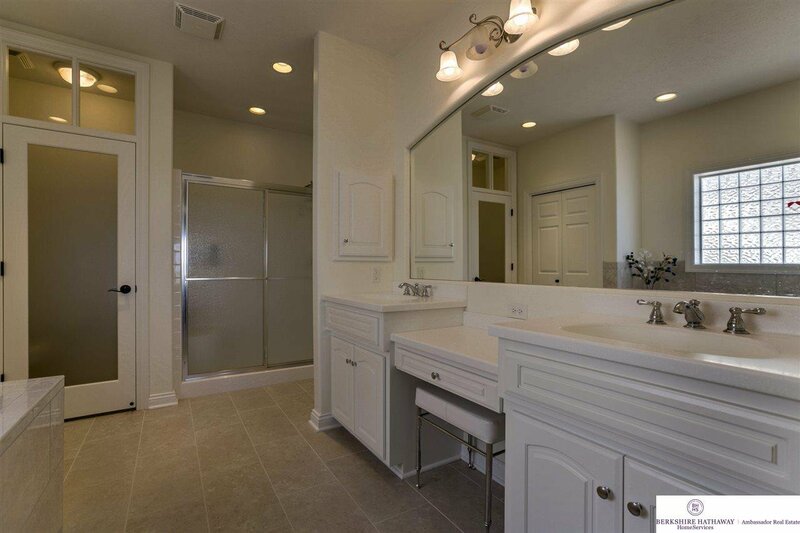 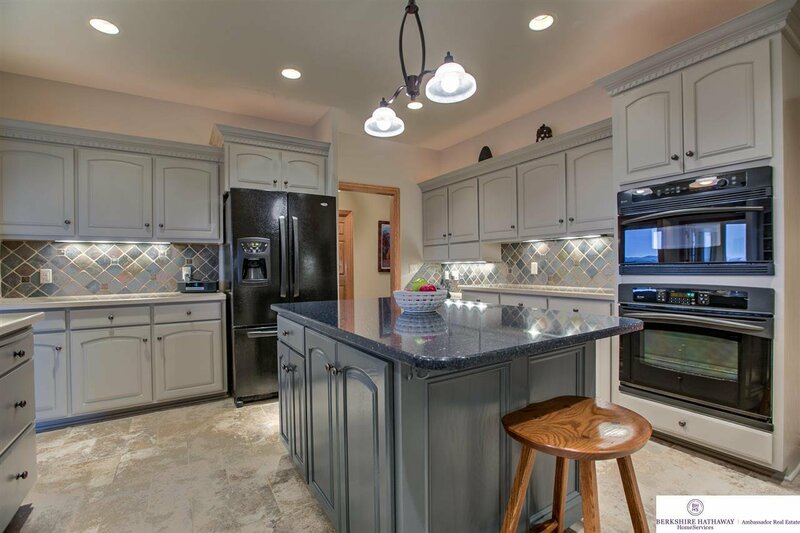 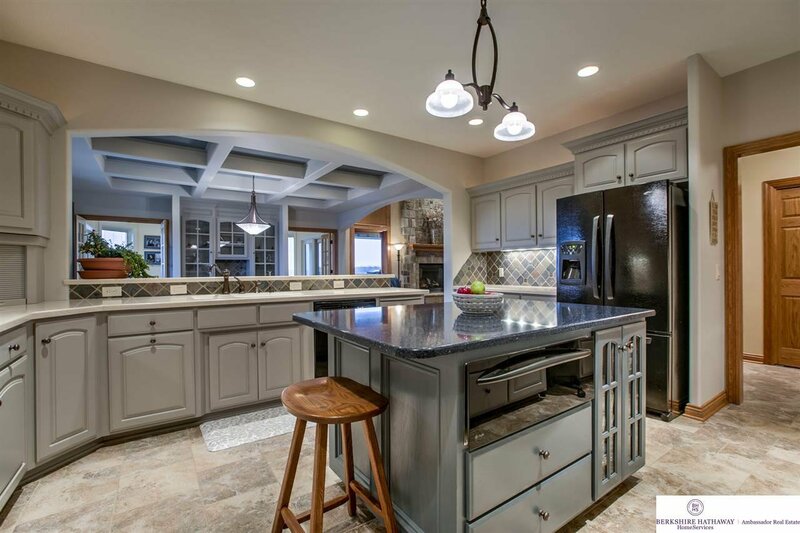 Gourmet Kitchen features Newly painted cabinets, walk-in pantry, and huge breakfast bar. 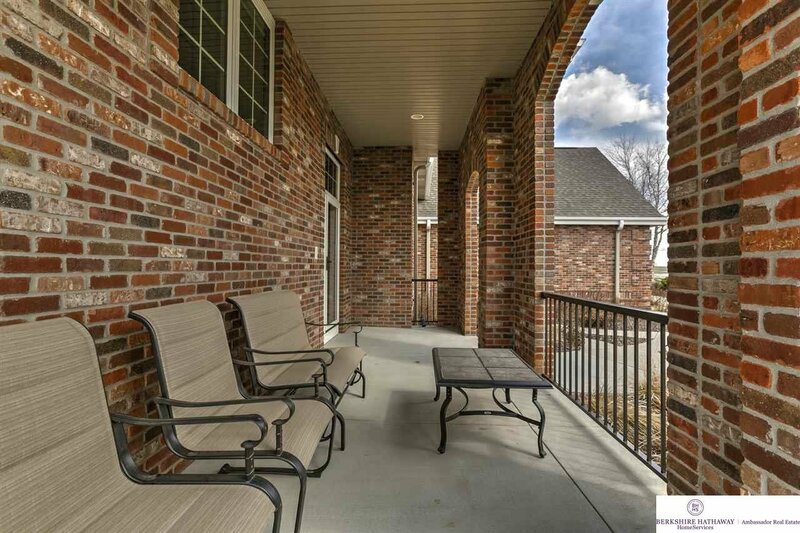 Separate Sunroom opens to composite deck. 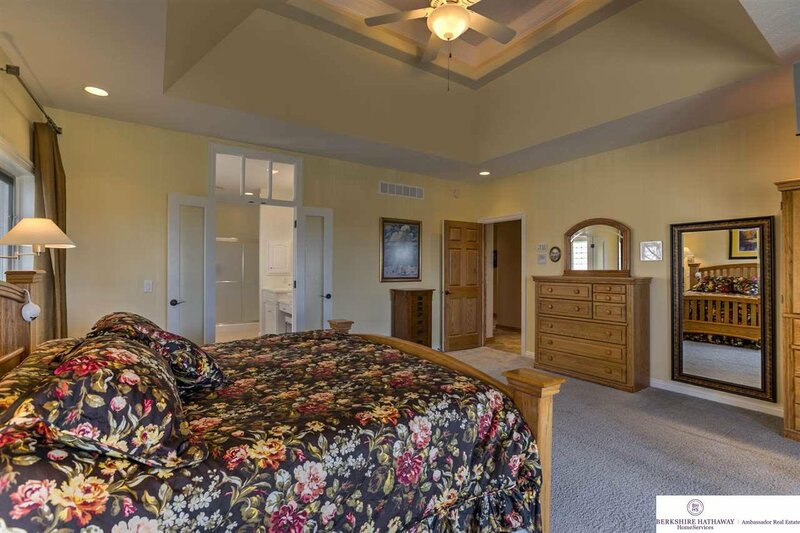 Master Suite and Executive Office on the main. 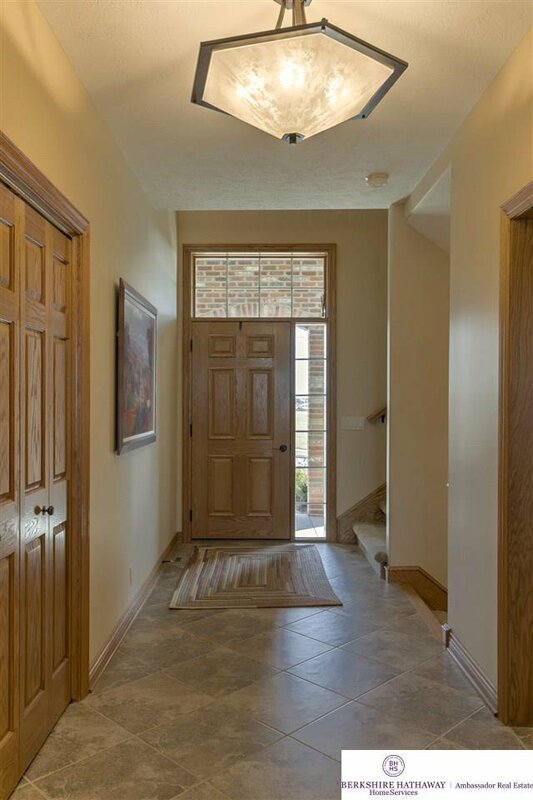 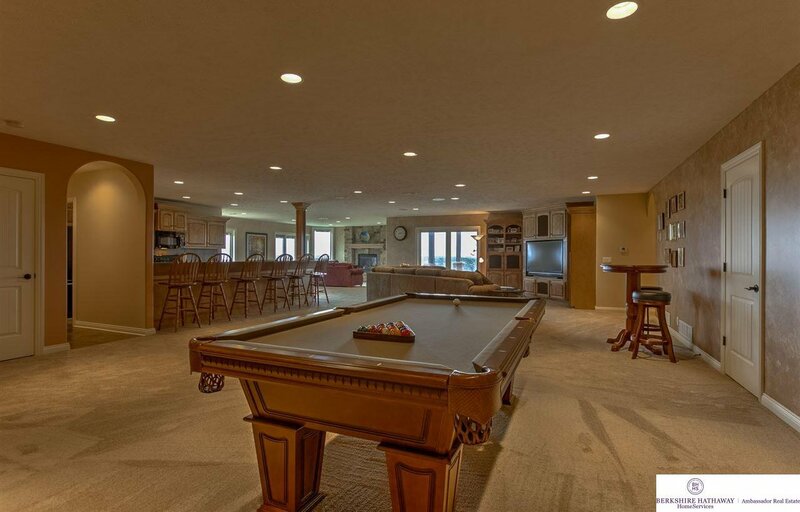 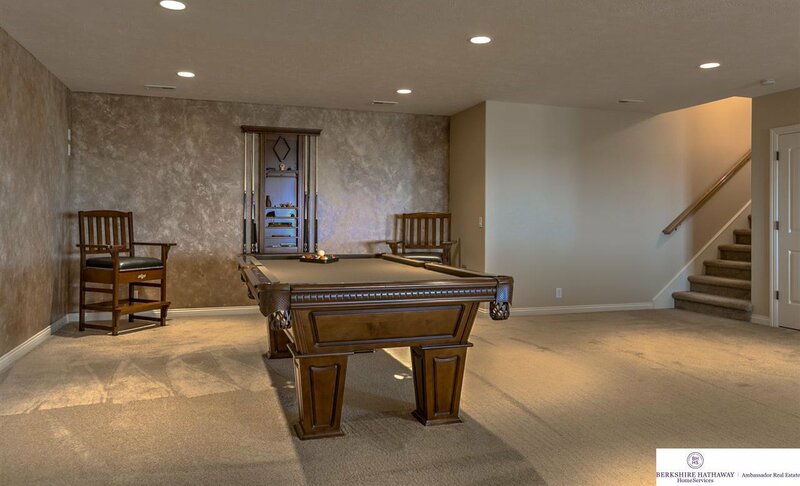 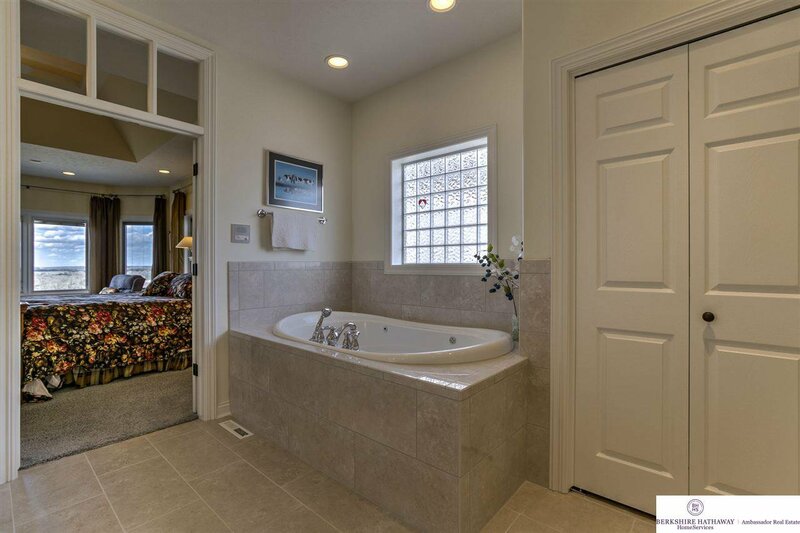 Finished lower level has 2nd full Kitchen, Family & Rec Rooms, Bedroom 4, & Bath. 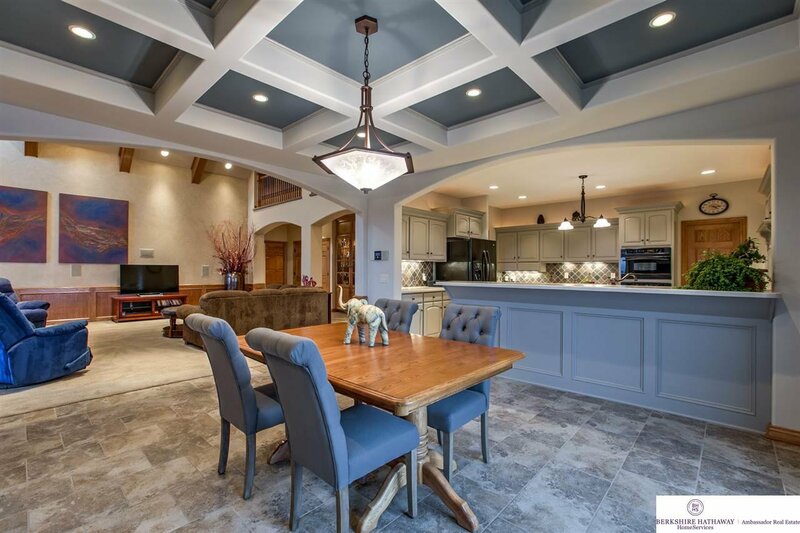 Unbelievable Inside and Out!